Do ThermAdor insulated sectional garage doors reduce heat loss? 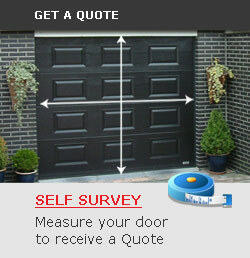 A potential customer phoned earlier this week with an enquiry about a sectional garage door. After hearing the guide price she asked the question “Do these doors really provide good insulation?”. The lady had read all the literature on our website and understood the U values and air permeability, however, what she really wanted was a real-life testimony. 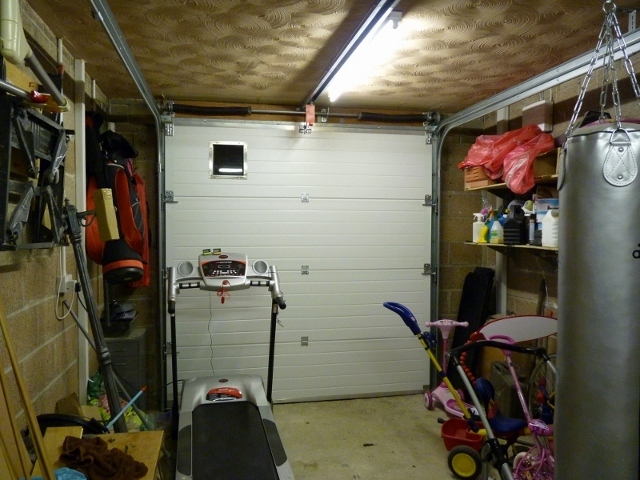 I explained that when we moved into our house, which has a garage attached to it, the garage door was a roller door. When winter arrived, the bedroom above the garage was very cold, and that the heating was constantly on in that room. In addition to this, we had an unexplained draught coming from the kitchen, which has the internal access door to the garage. We replaced the door with ThermAdor sectional door and found the difference to be significant. Our house is near the coast and we are constantly bombarded by strong winds. After finishing the call I realised that what I had said just sounded like a sales pitch, so before leaving the factory I collected some of the temperature probes we use to check insulated products. At home I placed one of the temperature probes outside, feeding the probe under the bottom seal of the door, and left the second probe lying in the garage. Our garage is approximately 6m x 3m and has no heating. 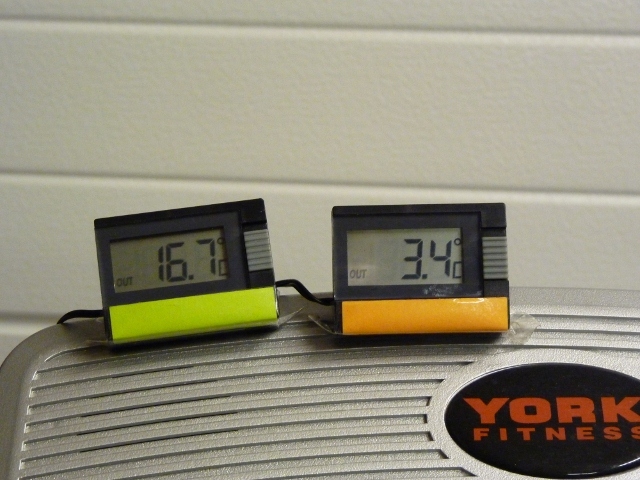 The results of this simple experiment were: Temperature outside 3.4 degrees (orange tagged thermometer) and the temperature inside 16.7 degrees (green tagged thermometer). Since we have new born child in the house the heating has been on more than normal, and the temperature measured in the kitchen was 20.1 degrees. The temperature forecast outside was 2 degrees. So to answer the original question. Yes, it does work and I would challenge you to think of how much you could save by replacing your garage door with a ThermAdor insulated sectional door. Jubilee Road, Newtownards, Co.Down, BT23 4YH. Tilt-A-Dor Ltd 2016. All rights reserved.